The Orff-Schulwerk method stresses the importance of movement as part of a child's music education. In fact, when I take the Orff Training Courses, we have an hour a day of movement class! Movement incorporates the elements of play, creating, and expression. We move to music and also without music. With Kindergarten and PreKs this month, we have moved with the Russian Dance, "Trepak" from The Nutcracker. We used scarves to help the students "see" their motions. My apologies for the shaky camera--I was using my scarf while filming! 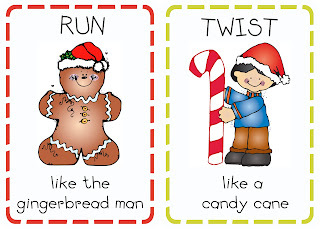 I also found a series of Christmas Movement Flashcards on Pinterest that are wonderful! (I have a whole board on Pinterest dedicated to school ideas--thanks, technology!). Each card features a child-friendly Christmas picture and an instruction for creative movement. Some of my favorites are "Melt like a Snowman," "Sneak like an Elf," and "Fly like an Angel." With some classes, we kept the scarves from "Trepak" and used them with our movements. Since these are so much fun and so easy to use, I'm linking to the blog page with the FREE printout of all the cards. Use them as a family and see how creative your kids can be! This Kindergarten class is "Spreading their Branches Like a Christmas Tree." Here is a sample of the awesome movement cards! And, click here to go to the blog and print out your own set for FREE! If you scroll to the bottom of the post, she has a link where you can download the whole set. Merry Christmas from the Wee Vikings! Visitng the FPD 3K class is a highlight of my week. They LOVE to sing and make music with the instruments that "Miss Mindy" brings over. Today, we practiced keeping the steady beat with instruments and singing to "Jingle Bells." Enjoy! 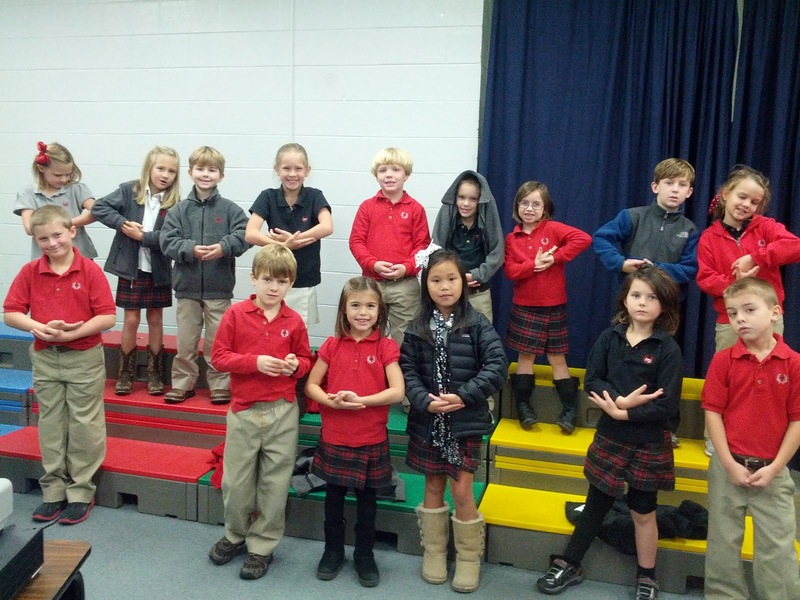 The students in grades 1-5 have been working extremely hard on the Elementary Christmas Program! This year's program is called Children of Bethlehem. We have two more days of rehearsals, and then we are live to the world! There are two performances this coming Thursday, December 13th. The first performance is at 1pm and the second is at 7pm. And, this year, the 1pm program is going to be webcast live. You can direct anyone that would like to watch the webcast to www.fpdmacon.org/webcast. Again, it will begin at 1pm EST this Thursday, December 13th. I apologize for the lack of an update--Thanksgiving hit, Mr. Krejci and I visited my parents in Colorado, and next thing I know, it's December 3rd!!! Where does the time go??? 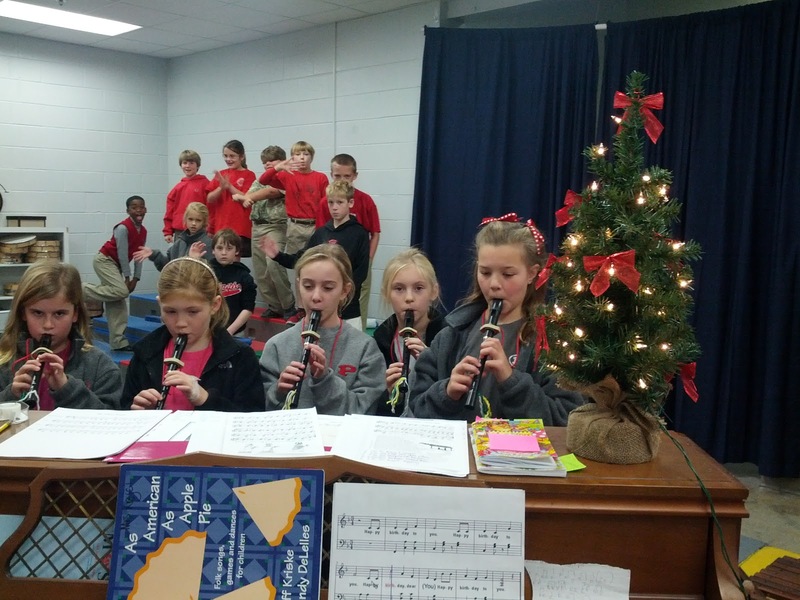 We are busy preparing for the annual Elementary Christmas Program here in music classes. Next Thursday, December 13th, at 1pm and 7pm, you are invited to come see our Christmas musical, "Children of Bethlehem." The story is a fictional look at Jesus' birth through the eyes of young children living in Bethlehem the night He is born. The musical selections include favorites such as "Do You Hear What I Hear? ", "We Three Kings," and "The Little Drummer Boy." Students in grades 1st-5th are all involved! We have been learning about our singing voices, different instrument techniques that will be featured, and what a great opportunity we have to present the story of Jesus' birth. May we all--the audience, the children, and me!--be able to pause during this program and come to the manger with a renewed sense of wonder and awe over Emmanuel's birth. In an effort to conceal some of our "surprises," I am positing some pictures instead of videos of the kids getting ready. Hope to see you here! 1st graders practicing motions for the Big Finale! We have been busy in 4K learning about our singing voice, the steady beat, and rhythm (the pattern of the words.) We also have started using some instruments when we sing. Fall is the perfect time to bring out "Hop Old Squirrel" to help us practice these concepts. This song is an American folk song. 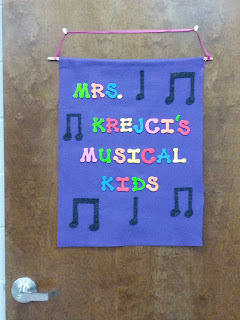 We practiced singing in different groups--the class on one part, Mrs. Krejci on the other part. Then, we moved our bodies to the different musical sections. 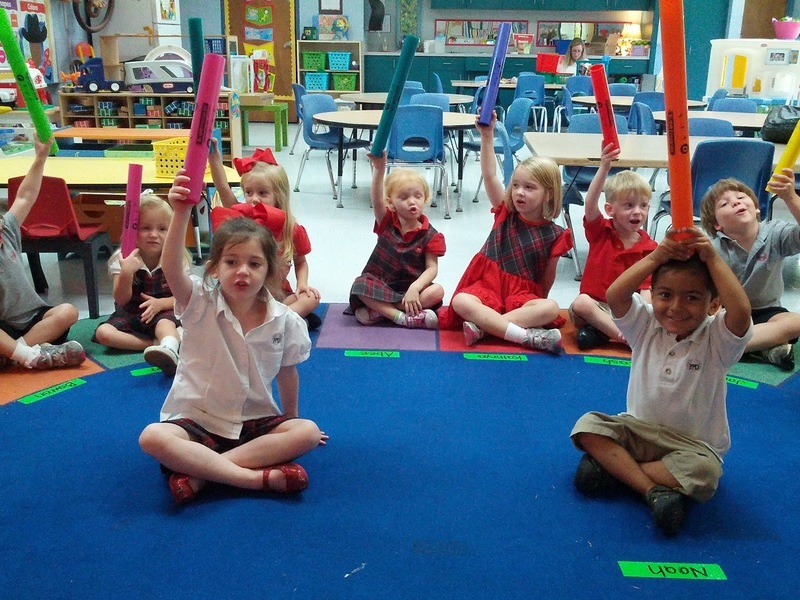 Finally, we put the movements on instruments and all took turns playing the instrument while the class sang. Our final product is "Hop Old Squirrel" with movements, tubano drums, egg shakers, and voices. You will find all these displayed in the video below. And, if you look closely, you just might spot our puppet friend, Mr. Squirrel, that helped us learn the song! A highlight of my week is visiting the 3K students--The Wee Vikings--in the Kindergarten building. We are exploring our singing voice and moving our bodies to the music. These students are full of energy and excited to learn! One of their favorite songs is called "Jump Jim Joe." Jim is a feisty fellow who has us moving in all kinds of ways to the music. Check out the 1st grade and 2nd grade tabs at the top of the page for a cover design contest just for those grade levels! I've asked 1st and 2nd graders to get their creative juices flowing to come up with a design for the program booklet for our Christmas performance called "Children of Bethlehem." Hello, FPD Family! I wanted to give you a quick update of things to look for on the blog. First of all, a new addition on the right hand column of the Home page allows you to sign up to follow this blog via email. Simply enter your email address in the box provided, and you will be emailed when the blog is updated! By the end of the week I will have videos up of the 3K class and a 4K class making music. These little ones are great musicians and are a blast to watch! Also, soon I will post news regarding the Christmas Program for various grade levels! Of specific interest to 1st and 2nd graders, there will be a Cover Design Competition for the program handed out. Watch for those details to be up in the next few days. As always, I love teaching your children! They are a joy to be with during the day. 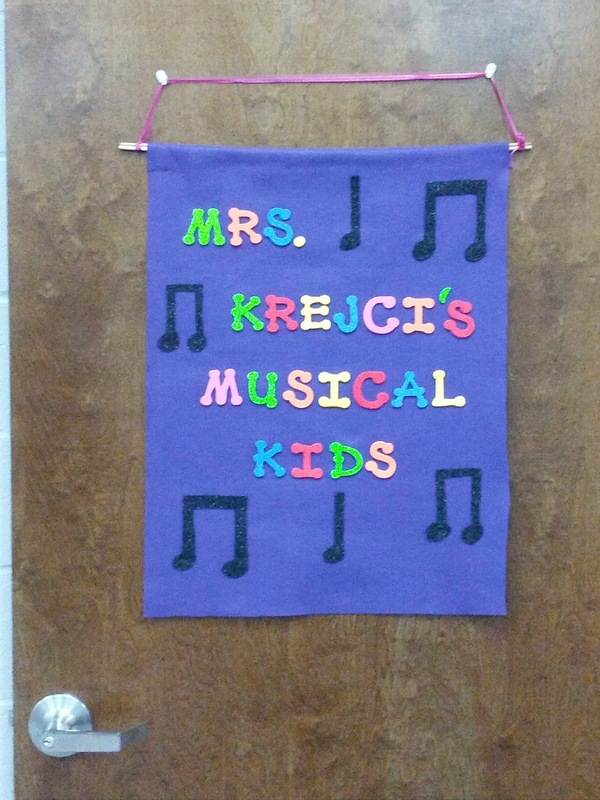 Welcome to Mrs. Krejci's Music Room! Welcome to the FPD music room blog! Some of you are new, and for those returners, thanks for stopping by again! I thought I'd give you a little intro to the content here and how to find it. Home Page: Here is where you will find all the posts about the goings-on in the music classes. You'll find videos, pictures, and descriptions of lessons. I try to rotate the classes that are featured. Thank you for taking an interest in the Music Room at FPD! I'm making it a professional goal this year to keep this blog alive and informative. If you have any questions, please do not hesitate to contact me. 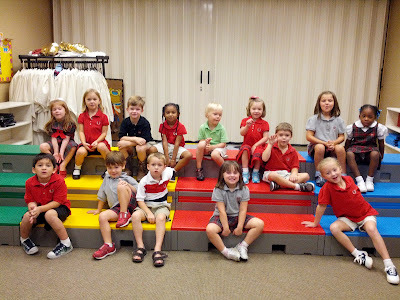 It is truly a pleasure to create music with your children at FPD! I am so impressed with the way the fourth graders have taken off with their recorders! We started recorder about 6 weeks ago, and we are making substantial progress. (So much so, there will be a recorder feature in the Christmas Program!). I tell the students, we are not just learning to copy a pattern, but we are learning to read music at the same time as learning a new instrument. Their brains are in overdrive, but they maintain their enthusiasm! With our workbook, Recorder Karate, the students work on a song until they are ready to test for a belt. When they are ready, they play for me individually. If they play with minimal mistakes, they receive a belt for their recorders! As a group, we have been working especially hard on the White and Yellows belts in class. The white belt song is "Hot Cross Buns." Below is a video of a fourth grader class masterfully playing this song! 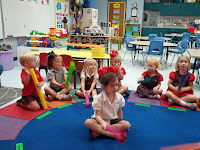 First grade is just beginning the fun process of adding instruments to our their singing. 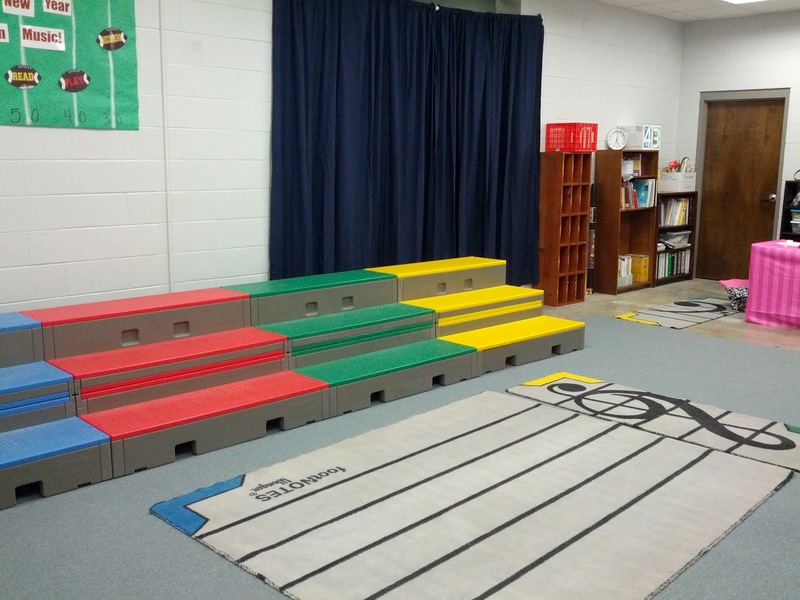 They are a great example of how the Orff-Schulwerk method approaches learning music. First, we learn the song, then we add in movements with our bodies, and finally we transfer the movements to different instruments. By doing this, the song is ingrained in our minds and bodies, reaching all different types of learners. And, of course, the real fun for the kids comes when they get the chance to play the instruments to accompany the singing! Just like the older kids, the first graders all learned every part and had a chance to play every part. Here is one class's rendition of "Down to the Baker's Shop." The students standing on the risers are demonstrating the body movements that got transferred to the instrument parts. October is a great month to talk about minor music, with the dark evenings, cooler temperatures, and the falling leaves twirling about. Major keys, just like the Major Leagues in baseball, are much more important in the musical world, but minor keys have their place! Songs in minor keys have a sound of sad, unsettled, or even a little spooky. A great example of a minor piece is Johann Sebastian Bach's "Toccata in D Minor" for organ. Look it up as a family and set the mood for October! Third graders worked very hard on an Orff arrangement of a song called "Pass the Pumpkin." This is a minor key song, so the "spooky" sound is from the musical tonalities. They played a passing game and added players to the instruments. Here are two videos of a third grade class playing and singing! Again, they are accompanying themselves with the instruments as they sing. Oh yes, and everyone in the class got to play every part! With the Orff process, everyone learns every thing. Enjoy! 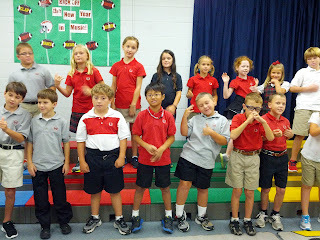 Second graders have enjoyed learning about their singing voices. The beginning of the month, we worked on a "silly song" called "The Grand Old Duke of York." He was in charge of some military men and made them participate in various training endeavors. We also experimented performing this song with various tempos--or speeds. 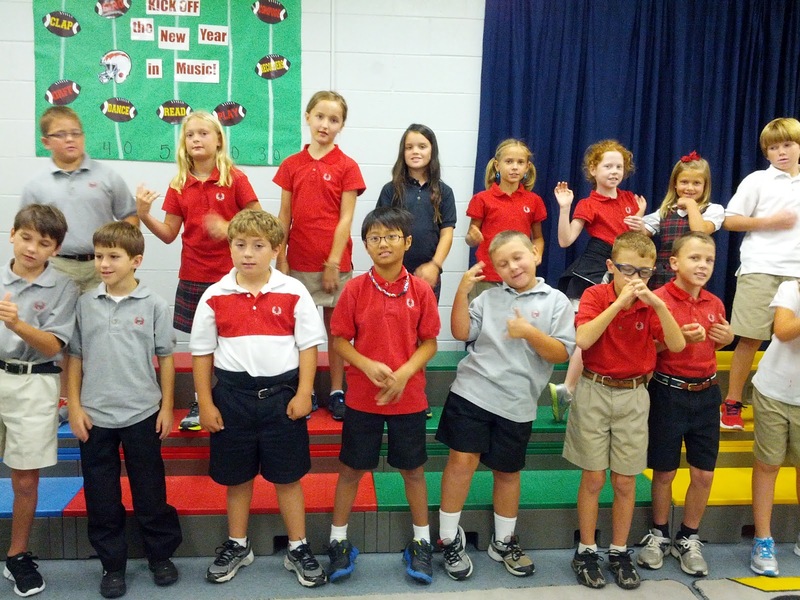 Below is a video of a 2nd grade class performing the song with the zany motions added in! In 3rd grade we are diving into the Orff instruments. Orff-Schulwerk is a music education method that emphasizes singing, movement, and instrumental playing. We are blessed to have a huge assortment of these wonderful instruments at FPD! We started the beginning of October with an American folk song called "Tideo." First, we learned the song, then we added movements to key words. Finally, we replaced the movements with instrumental parts. At the end of the process (over two class periods), the students were able to sing and play all the parts themselves. I pointed out that I was not helping--I was not playing piano for the accompaniment, there was no CD playing, it was all them. The Orff process of singing and playing music definitely requires higher order thinking skills--for the students and for the teacher! Below are two performances from the same class. Notice that the students switch parts in each video. In the Orff process, everyone learns every part! We are busy in the music room as well! The 3rd grade spent two weeks learning a poem called "Dinosaur Zoo" with a rhythmic ostinato. We learned that an ostinato is a rhythm pattern that repeats over and over and over. We put both parts together, first with words, and then with instruments. Below are two videos of the process. Video one shows the words and body percussion. Video two shows the words removed and played on rhythm sticks and frame drums. We are in week 5 of the school year and are moving along. 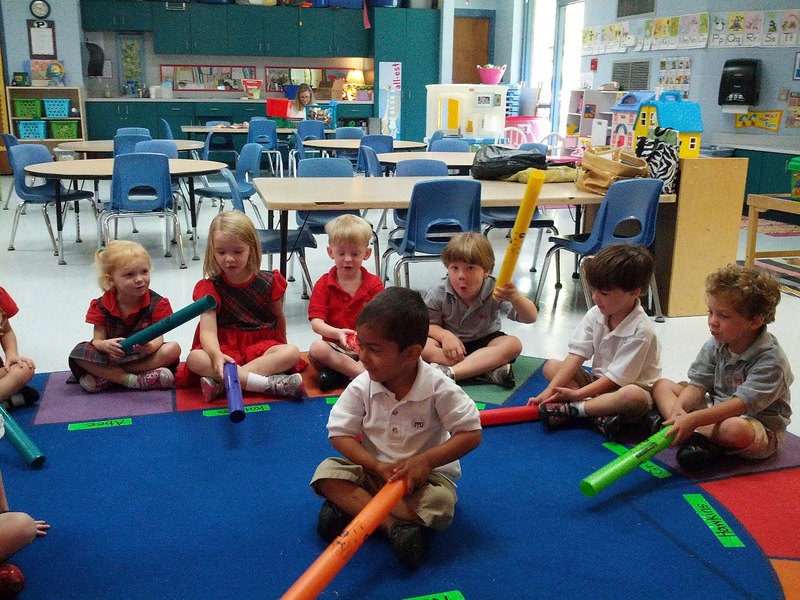 The music classes are talking about rhythm, singing voice, and playing instruments this week. Here are a few of the highlights! The Wee Vikings were so excited to get to use their first instruments this week! 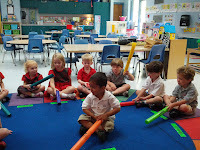 We played a few rhythm games with the Boomwhackers. Boomwhackers are plastic, tuned tubes. They can be played on a hand, a knee, the floor, and even a head. Each color of tube is a different pitch, giving us lots of opportunities for playing them in class. 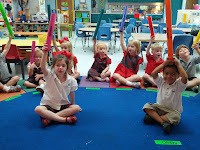 Holding the Boomwhackers in the air! 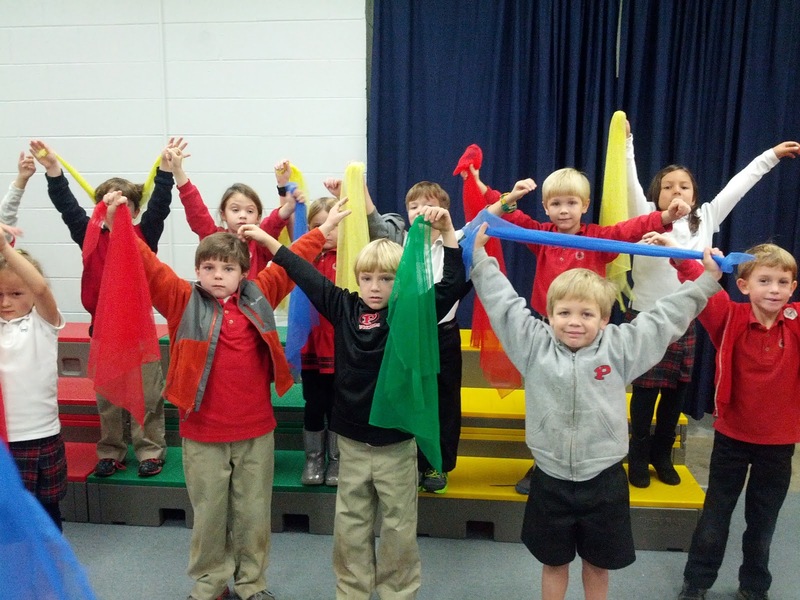 In 2nd grade this week, we are working on a folk dance to the song "Seven Jumps." This song is from Denmark. The "jumps" are different chords that are held for different amounts of time. Since the lengths of the notes are always different, it makes for some interesting dancing. Here is a video of a 2nd grade class doing the "Seven Jumps" dance this week! I have the privilege of teaching the students at the FPD Downtown Campus twice a month on Thursdays. Today was my first day, and oh my, what a great place to be! If you have not had a chance to visit down there, I would highly suggest it. The building is beautiful and Ms. Harris and Ms. Lucas are wonderful. We even have our own music room to be in. Since this campus is still young, I see everyone in the school at the same time! There are 13 kids, from 3K-Kindergarten downtown. They really have a great time together, and I can tell they learn a lot from each other. Today, we did the ever-popular "Finger Dance," danced with my friend "Jump Jim Joe," and even had a chance to rock out with Pete the Cat. I look forward to getting to know these children and bringing music class to FPD Downtown!